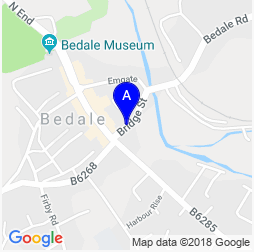 Acupuncture sessions at Bedale Osteopaths are provided by our dedicated, experienced acupuncturist, Nicola. If you are interested in acupuncture but not sure whether it’s the right choice for you then contact us for a chat or to book a free consultation. Nicola works on the basis of treating each person as an individual, not a list of conditions, and as such we would prefer to meet you to discuss your specific problems, rather than making general claims as to what acupuncture may or may not be able to help with. If acupuncture is not the right choice, Nicola can help refer you to the relevant therapist or health professional. Sometimes people are discouraged from trying acupuncture because of the use of needles, however acupuncture needles are incredibly fine and the process shouldn’t be painful at all. Most people feel calm and relaxed during treatment, and may fall asleep. If you are unsure about needles then you are welcome to try a single needle during your consultation to see how it feels! For people who really don’t like needles at all, it may be possible to gain many of the benefits of acupuncture using light touch to the acupuncture points. This is called acupressure. Acupuncture provides a means for you to become active in your own health and wellbeing, and is a simple cost effective and safe treatment which helps many people worldwide. Your first appointment for acupuncture will involve some detailed questioning about your health and aspects of your lifestyle. After initial assessment and consultation, if you would like to go ahead with acupuncture then you will have your treatment. Follow up treatments and a personal plan will be discussed with you. This may include advice concerning diet, exercise, use of other resources, referral to other practitioners, and an agreed number and frequency of visits for acupuncture. Treatment involves inserting very fine needles at specific points on the body. These are usually painless but if you are particularly averse to the thought of needles, acupressure (where pressure is applied to the points with the fingers or hands) can be used instead. Treatment may also involve the use of massage, moxibustion (a warming treatment using smouldering herbs) and cupping (where suction cups are applied to the body). Most people feel deeply relaxed during treatment. Some patients may feel a mild ache or tingling sensation when the needles are inserted. They will be left in place for about twenty minutes. It is common for patients to feel very relaxed after treatment so it is advisable to avoid strenuous exercise immediately after treatment. The number of treatments you will need will vary from person to person and will be discussed with you at your first appointment. If you are receiving treatment from your doctor then it makes sense to tell him or her about your plans to have acupuncture – most GPs are open to the idea of their patients receiving acupuncture. You should always tell your acupuncturist about any medication you are taking as this may affect your response to acupuncture treatment. Treatments are £40 per session. Each session lasts around 40-45 minutes. In addition to her work at Bedale Osteopaths Nicola also runs a clinic in Easingwold and teaches at the Northern College of Acupuncture on their BSc and MSc courses. She has also worked in the NHS with cancer patients for a number of years via a social enterprise which she set up to provide acupuncture to patients in hospitals. Nicola’s previous degrees in pathology and haematology give her a unique insight into both western and eastern medicine. She has developed a particular interest in working with complex or longstanding cases, and likes to keep up to date with current research and developments in acupuncture treatment. Nicola is a member of the British Acupuncture Council, and an Academic Associate of the British Medical Acupuncture Society. She is registered with the Teenage Cancer Trust as a volunteer therapist and also with the Complementary and Natural Healthcare Council. I came for acupuncture to help my knees which were sore from severe arthritis. After having treatment I felt smoother and integrated – like my knees were part of me again. Acupuncture has made me feel more mobile and more confident in moving. The pain has definitely reduced and become less of a factor in my everyday life.